Cai Guo-Qiang is a Chinese-born artist with an abiding passion for large, loud explosions. 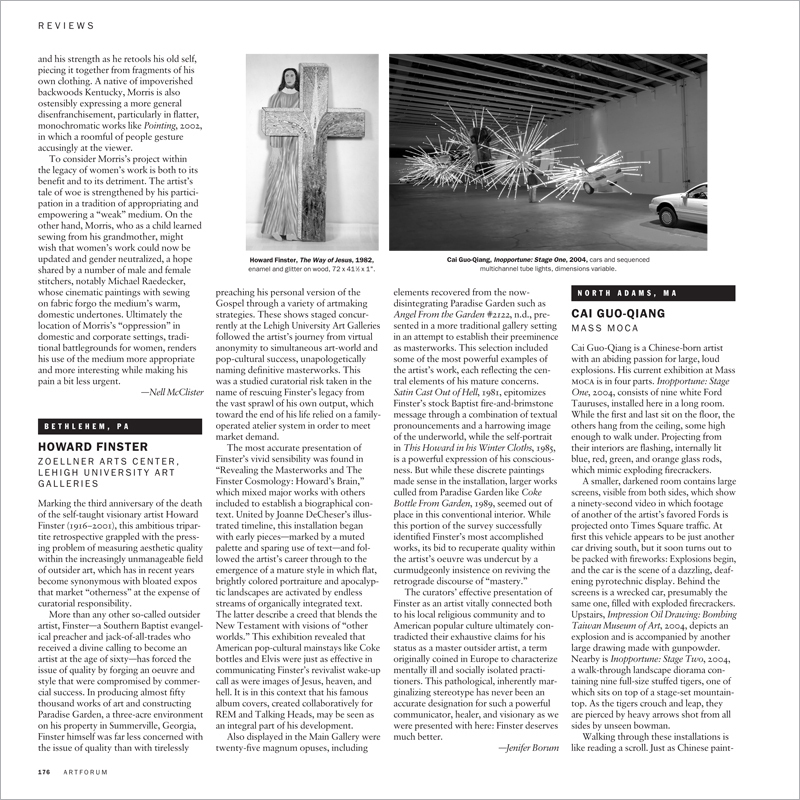 His current exhibition at Mass MoCA is in four parts. Inopportune: Stage One, 2004, consists of nine white Ford Tauruses, installed here in a long room. While the first and last sit on the floor, the others hang from the ceiling, some high enough to walk under. Projecting from their interiors are flashing, internally lit blue, red, green, and orange glass rods, which mimic exploding firecrackers.